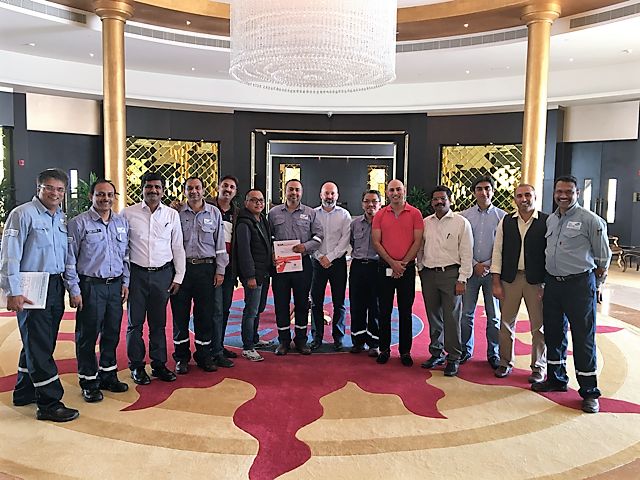 This November, Risknowlogy held an In-House Functional Safety for Safety Instrumented System Professionals training for employees of Borouge, at their office in Ruwais, UAE. The Functional Safety for Safety Instrumented System Professionals course is part of the SILComp® training and certification program. Topic was the concepts of Functional Safety and SIL according to IEC 61511. 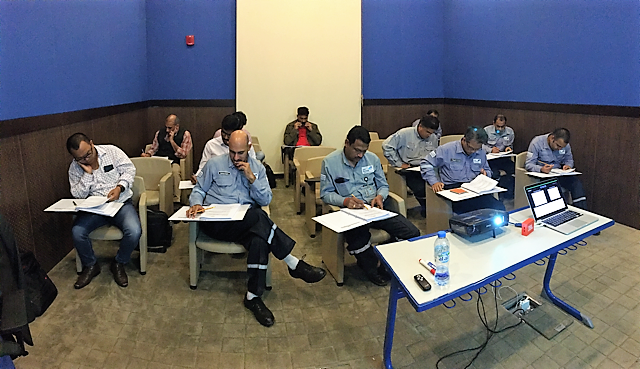 The Borouge functional safety professionals attended a four day training followed by an exam on day 5. The exam takes four hours and consists of 60 multiple choice questions and 25 open questions. When the professional scores 75% on the exam he or she receives a Safety Passport and a TUV Certificate for life. The training was held by Dr. Michel Houtermans. He was explicitly requested by the client due to his popularity based on his unique training style which brings the concepts of Functional Safety and SIL across in simple terms. 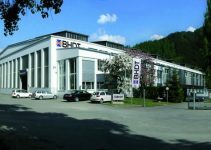 The course was now made mandatory for a certain group of employees at Borouge and it is expected that many companies in the region will follow this trend.